Our selected training program is limited to only several dogs at a time. This allows for each dog to obtain the most information as possible during their stay here at Valley Way. A low stress, temperature controlled environment allows your dog the best living quarters. All of this is achieved in a E-Collar free evironment. First and foremost your dog is your family and companion. This program is geared to the owner that requires a obedient and well mannered dog regardless of scenario. The ability of a dog to spend countless of hours at the farm or hiking but come home and switch to a calm and collected demeanor in your home is an absolute must. 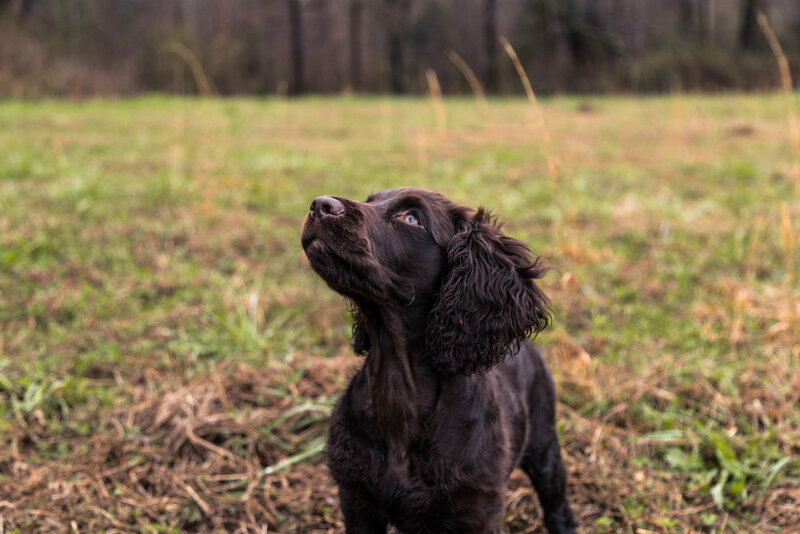 A Boykin Spaniel has an extremely high energy level that needs to be contained and controlled when required. That is what makes this program perfect for the active adventurous family. This program accepts its students between the age of 6-8 months of age, dependent upon availability and personality. It highlights all of the core values with the basic values of obedience such as sit, here, place, and kennel. Once the student has achieved the basics, then we incorporate various types of hunting scenarios through progressive learning. Starting with the basic building blocks such as introduction to live birds and gunfire then working our way up to lining blinds, handling and multiple marks. 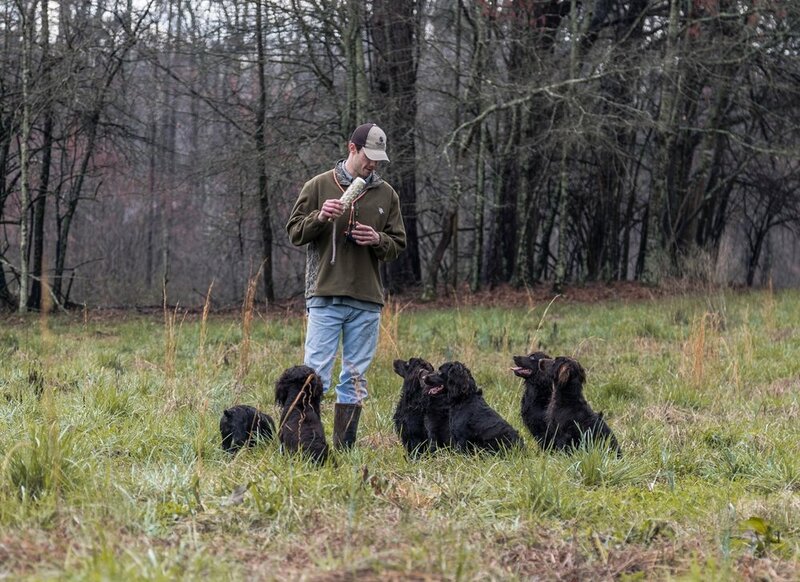 The end goal for our gun dogs when the come home is the ability to spend countless of hours in they field then come home and sit fireside with you and your family. So you have gotten your puppy and you cannot wait to start training him/her but you have no idea where to start. This program is ideal for the owner who plans to do the training but they need a little "Kickstart" first. This 4 hour class allows for you to gain the knowledge and template to follow in training your puppy without the commitment of sending your dog off for a few months. The age of your dog does not matter to attend the class and if you do not have your puppy yet then one will be provided for the drills.